Cindy Anderson-Blank and Windchase are happy to announce the formation of the Windchase Syndicate, its purpose being to own and help maintain Cindy’s new ride, an exciting and talented 2010 Irish Sport Horse named MHS Cooley Vegas. If you are at all familiar with the sport of Eventing, you will know how much hard work goes into it, and how much dedication, determination and skill are required to succeed. For those of you acquainted with Cindy, you know she has embraced the hard work and dedicated lifestyle needed to form a successful partnership with her horses. Over the past year she has successfully moved up to the Advanced and CIC*** level with Windchase’s homebred Irish Sport Horse, Windchase Phoenix Star. But for a rider to be successful in this sport it is necessary to have multiple horses coming up through the ranks, hopefully with several competing at the higher levels. Cindy, with Phyllis’s help, has been searching for a talented horse to move up the ranks. MHS Cooley Vegas seems to be a great prospect. He competed very successfully in Ireland up through the Preliminary and one-star level, and has the talent and ability to move up to the top. He is ready to bond with a rider in this country and fulfill his potential. Already Cindy and MHS Cooley Vegas (known as Greg in the stable) are forming a terrific partnership. But the sport of Eventing is expensive; the acquisition and upkeep of a top level horse is not something that most riders can afford on their own. This is why Cindy is putting together an ownership syndicate, to help support her partnership with MHS Cooley Vegas. She couldn’t do it without the help of interested supporters and owners like you! The Windchase Syndicate will allow up to 10 individuals the benefits of being a part of our team. · As horse lovers and Eventing fans, the syndicate members will have the experience of being significant players in the sport of Eventing. · They will have the chance to attend competitions as Owners, and to enjoy the camaraderie of a like-minded group of syndicate participants. · They will have the opportunity to contribute to the rise of a talented rider to the top levels of the sport, and the satisfaction of being an integral part her success. · Ownership brings with it the phenomenal excitement of being directly connected to the highest levels of Eventing. · Such participation can also be a great publicity vehicle to gain name recognition or advertise a business. 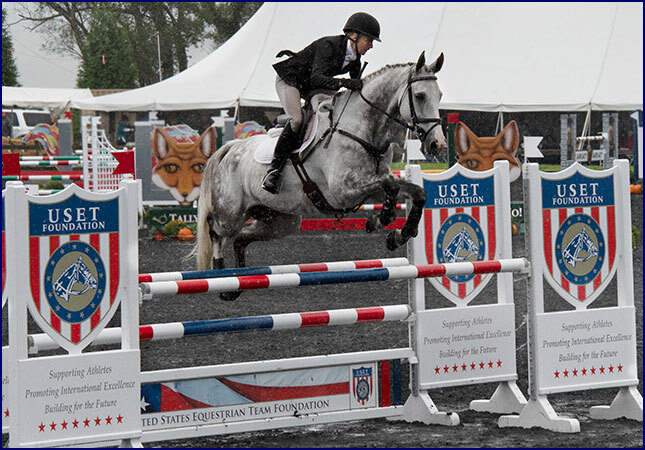 · Syndicate members will receive regular updates on MHS Cooley Vegas and Cindy, and access to watching them school and train as well as compete. We would like to invite you to join the Windchase Syndicate, and help support Cindy on her journey to success with MHS Cooley Vegas. The cost of buying in for a 10% ownership share is $5000. There is an affordable yearly expenses maintenance fee, which would be tax deductible through the American Horse Trials Foundation. For those who want to participate and support Cindy’s efforts but do not want to make the investment of ownership shares, tax deductible donations to support MHS Cooley Vegas can be made through the American Horse Trials Foundation. Contact us for more info on how this works. Join the Windchase Syndicate for the ride of a lifetime! Cindy Anderson-Blank grew up in the saddle, beginning her riding career as soon as she was old enough to hold the reins. Cindy had the privilege of growing up on a Cattle Ranch in Eastern Oregon where classic horsemanship and hard work was a part of everyday life. By age 14 she was starting horses under saddle for local clients and competing her own horses in all the disciplines the area had to offer. Cindy’s start in Eventing is a testament to her dedication and perseverance. As a high school student she routinely drove 400 miles in one day for an afternoon lesson. Serious in her quest to learn, Cindy spent 5 years as a working student for various trainers while completing a degree in Animal Science from Oregon State University, before becoming a full time professional trainer. In 2011 Cindy came to Virginia to work as head rider for Phyllis Dawson and has been under her watchful eye for the last 7 years. From breaking in the babies to competing at the CIC*** level, Cindy has an impressive skill set with careful focus always placed on the partnership between horse and rider. Career achievements include successful finishes at the CIC and CCI* level with five different horses. 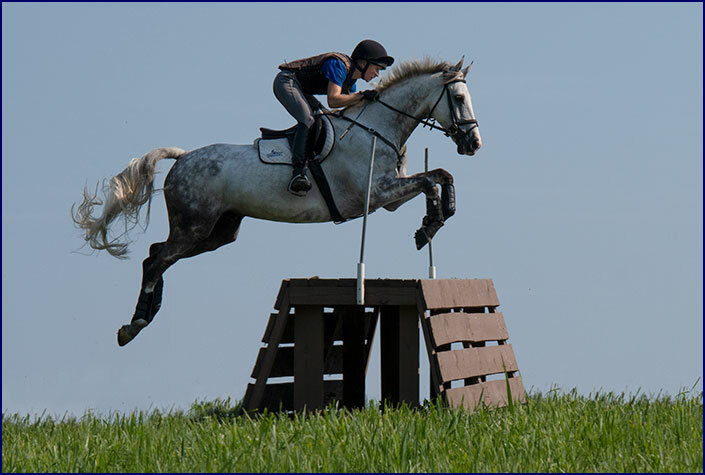 Cindy has multiple competitive placings at the CIC** and CCI** level with both Two Tickets and Windchase Phoenix Star at venues such as Morven Park, Fair Hill, and the Virginia Horse Trials. Windchase Phoenix Star is a horse Cindy brought up through the levels herself, forming a strong partnership, and in 2017 they successfully moved up to the Advanced level together, earning competitive placings at the three-star level in 2017 and 2018. Cindy is also a level three ICP certified instructor who carries the same level of dedication to her teaching as she does her riding. Her goals are to be competitive at the highest level of the sport and to one day represent our great country. Daily instruction from Phyllis as well as additional help from world class trainers such as Richard Picken and Linda Zang keeps her training program focused on the fundaments for success.